Australian boab trees (Adansonia gregorii) are related to the species known as baobabs. Often referred to as a “bottle tree”, each and every boab tree has its own unique features. Due to the distinctiveness of each tree, the trees often served as easily recognisable land marks by white settlers. The only place in the world to see the unusual boab tree is in the Western Australia Kimberley region. 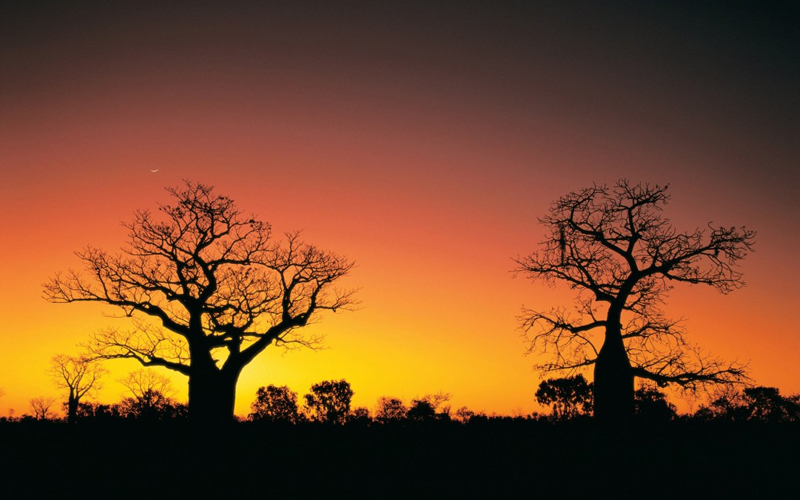 There are a few theories about how the distinctive boab trees arrived in Australia. Some say the seeds came here from Africa by sea and spread from the coast. Others suggest the boab tree may have survived from when Australia and Africa were both a part of one continent, 65 million years ago. However, it is not known exactly how the Australian boab tree made it to our shores. 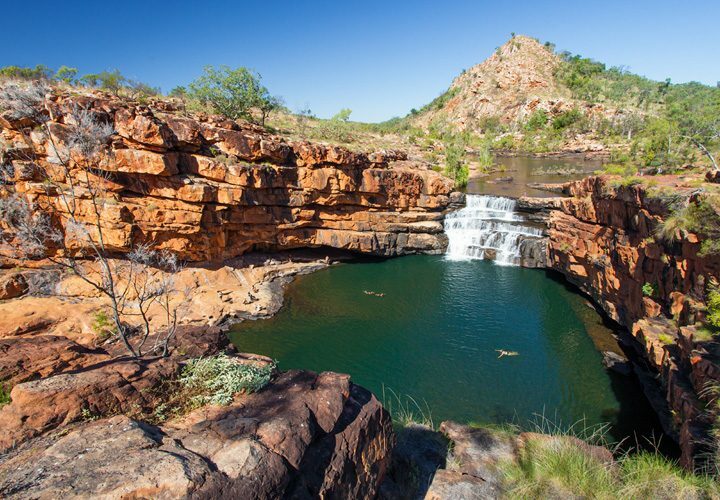 One of the best ways to see the unique boab tree is to take a tour of the Kimberley. On all of Instyle Adventures Kimberley tours, you’ll get to see the prison boab tree. The prison boab tree is unique due to its large size, shape and history. We talk more about the prison boab tree later in this article. The boab tree has a bunch of interesting details that truly show how unique it is. The mature boab can reach up to 15 metres high, which although is not exceptionally high, appears huge due to its large trunk. This large trunk is why it is known to be referred to as the “bottle tree”. Growth is very slow and usually takes hundreds if not thousands of years for the boab tree to grow into an impressive specimen. Some individual boab trees are 1500 years old or older, making them the oldest living beings in Australia, and puts them amongst the oldest in the world. The boab tree is sometimes referred to as the ‘upside-down’ tree as the branches look like elongated roots during the dry season. As the dry season is the most popular season for travellers to visit, they usually miss out on seeing the flowers produced from the tree branches. 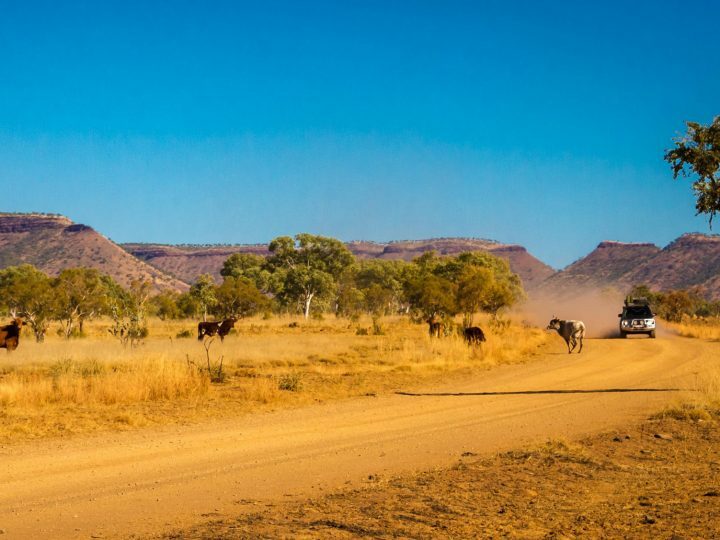 If travellers are planning on touring the Kimberley during the wet season, they will spot the beautiful white with a pinkish hue flowers growing from the boab. What many travellers are unaware of is that many parts of the boab tree can be used as food. What was originally seen as a source of food to be eaten only in dire circumstances, the boab tree is now used in a variety of different recipes. The seeds produced by the boab tree are also known to be very high in Vitamin C.
Another favourite by locals and travellers alike are the boab trees roots. With the texture similar to a water chestnut and a crunch like a carrot, the roots are used in a variety of dishes. From starters to desserts they are also used in stir fries and salads. The versatile root is a great addition to any meal. Boab trees are now grown commercially in the Kimberley and shipped around the world to be used in gourmet cooking. When grown commercially, the boab trees only make it to around 6-8 weeks of ages before they are harvested. Their root at this age has the shape and size of a big carrot and are sold in bundles with their tops still attached. Once reaching restaurants around the world, the boab is peeled, then grated or sliced to be used in a range of different meals. Just a word of warning: Boab trees are a protected species so you are not allowed to gather seeds or seedlings from the wild. Even today, Aboriginals in the area use the boab tree nuts to carve pictures and paint. The nut must be dry, however still hanging from the tree as if it falls to the ground it will most likely crack. The nuts are usually covered with pictures of faces and animals set in the local landscape. A carved boab nut is a great souvenir for people on tour in the Kimberley. 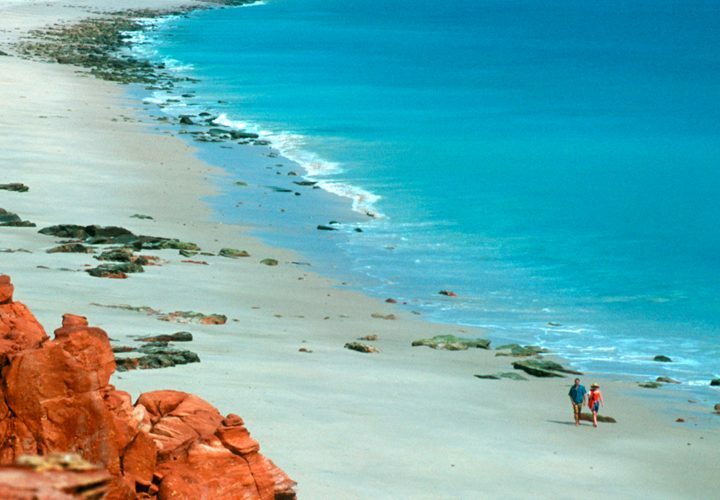 The nut is intimately connected to the Kimberley region where both the artist and the tree grew up. Aboriginals in the area have a strong connection with the very impressive tree often using it as shelter, food and medicine. A tree with a long history, the prison boab tree is located close to Derby, which calls itself the “Home of the Boab Tree”. The hollow tree trunk has a circumference of 14.7 metres and is estimated to be between 1000-2000 years old. In the 1890s, the tree was used as a prison cell by local police at the time to lock up Aboriginal prisoners overnight. Registered as a site of Aboriginal Heritage in the early 2000s, the tree now has a fence around it to help preserve it. Even with the fence, however, the history and sheer size of the tree makes it a sight to behold. 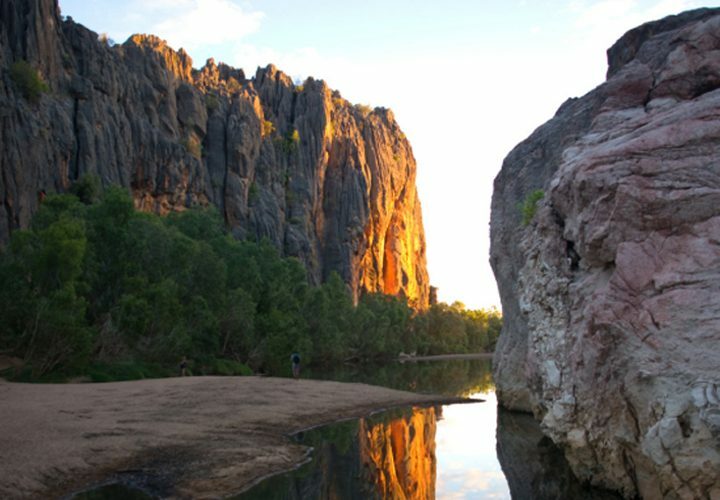 The best way to see the prison boab tree is to take a tour of the Kimberley with Instyle Adventures. All of our luxury private guided tours make a stop at the Prison Boab Tree. Contact us today and let us tailor one of our adventures to your needs.